Samsung has brought something insane to the world or technology, especially in terms of smartphones. Samsung Galaxy Fold and Samsung Galaxy S10/ S10+ broke some major rules of the market. They excavated some new ground and found new ways to utilize the mobile technology. As the Korean tech giant wrapped up their presentation, some others showed up in some not so grand way. Lg was one of those companies. 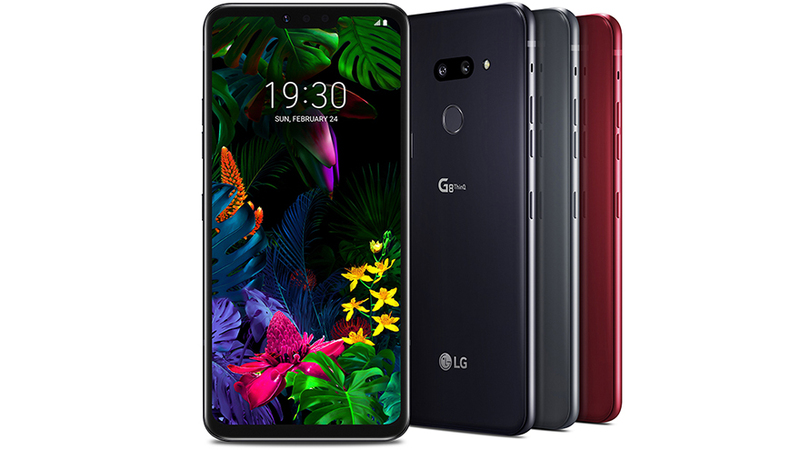 In case you are unfamiliar with the LG has two main devices, one is the G line which poses as the flagship and then there is the V line which is more of a premium device. This time around, we are looking at the new G8 ThinQ which will be coming to the market in the second quarter of this year. Now I want you to move past it’s looks for now and let me tell you what is has on the inside in terms of technology which is new and some polished. Where Samsung is known to be more on the visual side of things and its balance with the user experience, LG has been working on their own technology and trying to keep the basic design language but with much more functional innovation that can only be explored once you have the device in your hand. The most important thing to notice with this coming soon device is its gesture-based controls and its user abilities. As the industry started to tilt from the bio-metric style of device unlocking mechanisms, Apple came up with Face ID and Samsung adopted the in-screen fingerprint sensor, LG has devised a rather unique and almost gimmicky sounding solution to stand apart from the crowd. The Hand ID is a 3D sensor uses your unique circulatory (blood vessels’ pattern) and hand patterns. This works effortlessly to unlock the phone with a quick scan of your palm. There is no need to interact with your phone again and again, well in terms on hand-on-screen time. LG has come up with a system where you can use several modes of your device. These functions can help in a lot of real-life situation and if you remember back, Samsung did promote their gestures not long ago but their focus moved to other things and LG kept working at it and made it more advanced. On paper it sounds unbelievable, the only thing left to do is a real life test with an actual phone call. The phone has amazing tech no doubt but aesthetically the device is lacking a whole lot. I know the notches on the screen are nothing old but the pace this world is moving at, these technologies are not new either. 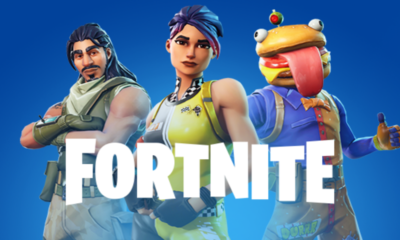 An idea that has been done to death and companies are already moving on but LG is sticking with the notch. Notch is something most people can love with I suppose, but the side and the bottom bezel is what is an eyesore to me. 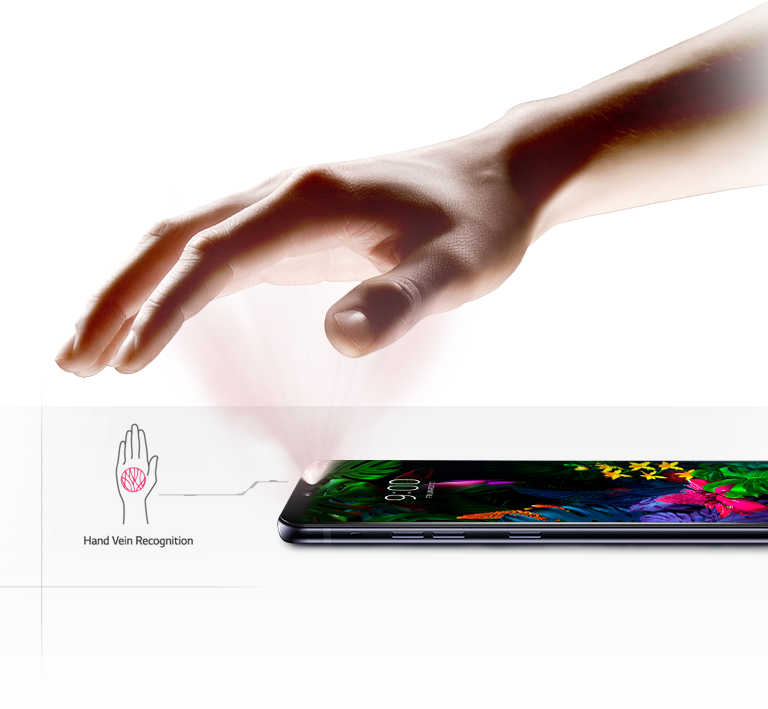 In case you don’t like the idea of the Hand ID then you don’t need to worry about anything since LG is one of the few companies who is keeping the back panel physical fingerprint reader under the camera modules. Oh yes, how about that? LG is keeping the 3.5mm headphone jack and I believe that this is a great idea. It will provide the 32-bit/ 192kHz audio with DTS: X Surround Sound. The provided in-box headset also has dedicated active noise cancellation with dedicated microphone. The phone is jam-packed with features and I think these need a review here. Carmine Red, New Aurora Black, New Moroccan Blue are going to be the available colors when the device is available. Imagine a Red, Blue and Black phone and forget the strange color names. The phone has some very promising technology in it and no matter if people think these are gimmicks or not, these solutions are practical ones and a company like LG won’t launch something into the market without through testing. 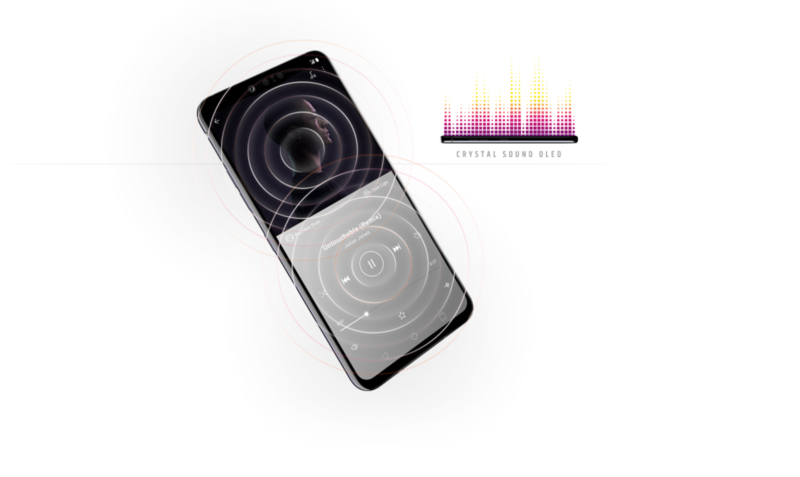 Over all the phone comes with a lot of necessary things and more than a few gestures based functions. Now if the price is not matching to current flagships like Samsung and Apple then this is going to be a viable option for those who either do not wish to spend a lot on the phone or have less than a $1000 in their pockets and in dire need of a new device.